Plastic sofa-cover flashback: Beware the pristine, useless teen space. My Aunt Florence’s living room was a showpiece. I hadn’t thought about that room in years but recently, I visited a library with a teen room with a similar Do-Not-Enter vibe. Let’s call it the Aunt Florence Memorial Library Teen Room: a pristine place possessing truly enviable state-of-the-art technology & equipment and completely devoid of teens. The machines displayed prominent signs – not instructions for use but information about the steps a teen had to take before they even got to the how-do-you-use-this-thing stage. The room was only open during â€˜certain’ hours and then only to those teens that had attended an orientation. Sirens rang in my head but I managed to ask a staff member about this. They hinted (strongly) that the space had seen â€˜some trouble’ after it initially opened â€“ and â€˜steps’ had to be taken to â€˜protect’ the equipment. (Knowing glances were exchanged.) 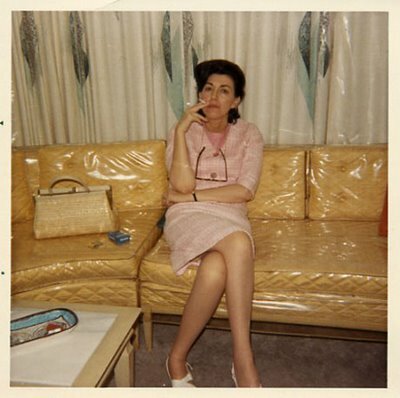 That’s when I had the plastic sofa-cover flashback. A dedicated teen space needs dedicated teen service staff. Period. OK, OK I get it: funding for capital projects (building/renovations) is easier to find than funding for staff. If the library builds a teen space it is (theoretically at least) a one-time cost whereas staffing the space with teen librarians is a recurring cost (annual salary, benefits, etc.). Unfortunately, it is not uncommon for libraries to create a teen space and not have funds to employ dedicated teen services staff. This is where the Aunt Florence dynamic can come in to play – occasions where a well-appointed teen space turns into a wasteland (pristine or otherwise) because there isn’t appropriate staff to â€œactivateâ€ it through programming or consistent engagement with teen users. Without teen services staff to activate the elements and equipment of the space, the fanciness is offered without any service context â€“ without an understanding of â€˜the why’ beyond trend and desire. This is a dangerous space to occupy â€“ philosophically and literally. So, just a reminder to the administrators and organizational decision-makers out thereâ€¦the most important feature of any teen space is not the 3D printer â€“ or the laser cutter or the egg-chairs or the whatever. The most important feature is the dedicated staff members present in the space â€“ the professionals uniquely prepared and passionate about serving teens. Even the most humble teen space can function â€“ if there is teen service staff present to foster teen participation, engagement and create a welcoming atmosphere. Activate the teen space properly â€“ and plastic sofa-covers’ won’t be needed.